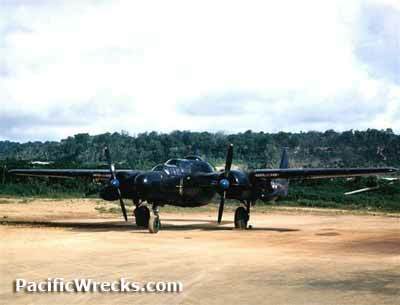 North Field is located near Pati Point on the northeast end of Guam Island in the Southern Mariana Islands (Territory of Guam) in the Mariana Island Group (Mariana Islands) in the United States of America (USA). 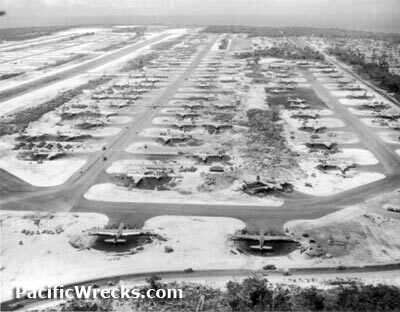 The first American airfield built, with construction by USN Seabees beginning in November 1944 as a base for B-29 bombers. Later this airfield was renamed after Brig. General James R. Andersen MIA / KIA aboard C-87 Liberator 41-24174 on February 26, 1945. Still in operation as Andersen Air Force Base, the base became a Strategic Air Command base, supporting activities in Korea and Vietnam.